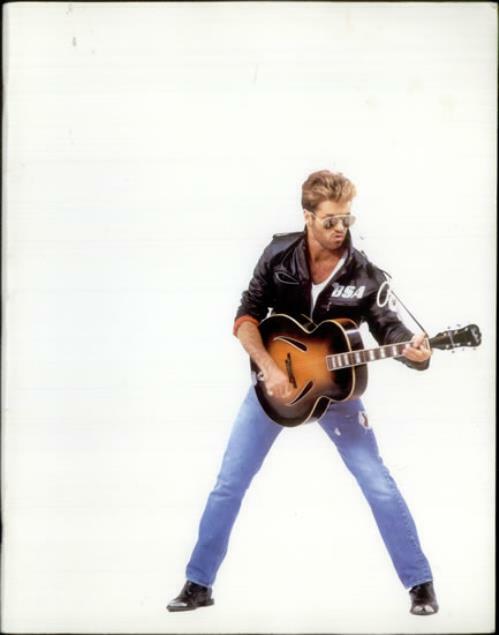 GEORGE MICHAEL The Faith Tour (Official 1988 US 10�" x 13�" 28-page full colour tour programme, featuring lots of colour pictures, information, merchandising insert and superb glossy cover. 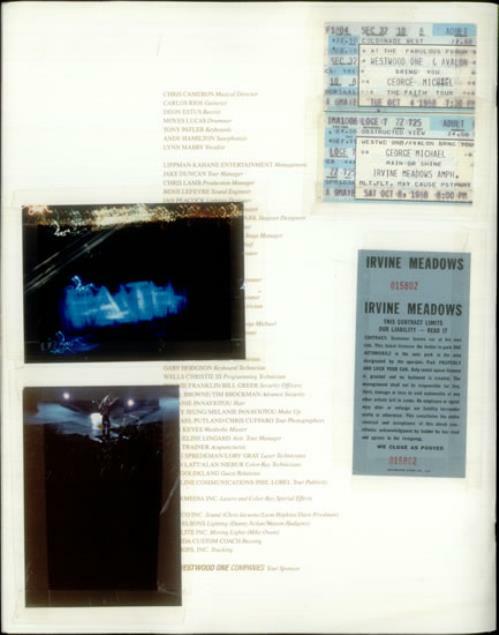 The previous owner has attached two concert tickets forthe gigs on 4th & 8th October 1988 and two amateur gig photographs to the inside front cover of the programme. A nice piece of memorabilia! ).